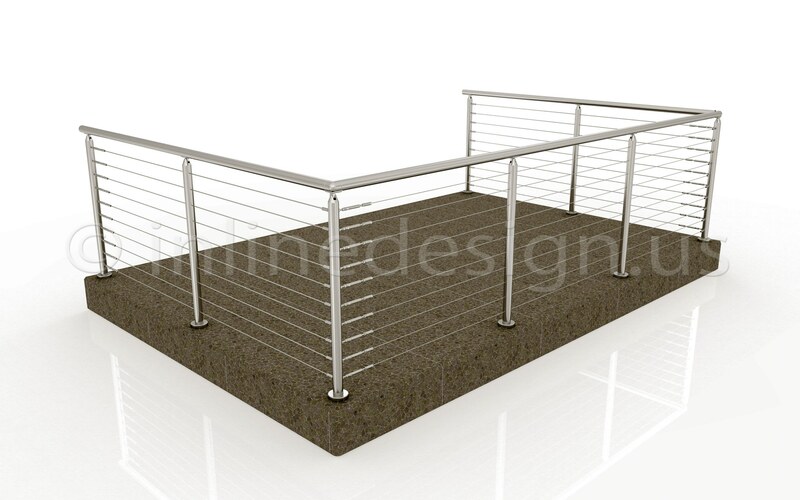 The Press and Latch Cable System is a durable, seamless railing system for outdoor locations, such as stairs, decks, patios, stages and platforms. Robust 316 stainless steel construction ensures a long-lasting cable system that is weatherproof. Reinforced with molybdenum, this type of stainless steel is resistant to natural corrosion, as well as high temperatures. A sleek, shiny surface offers an aesthetically-pleasing look, which is also easy to maintain. Heavy-duty metallic cables create a safe barrier for busy or elevated locations. The unit’s innovative installation method does not require tools, resulting in up to 80% less time spent on setup or deployment (compared to similar cable systems available on the market). 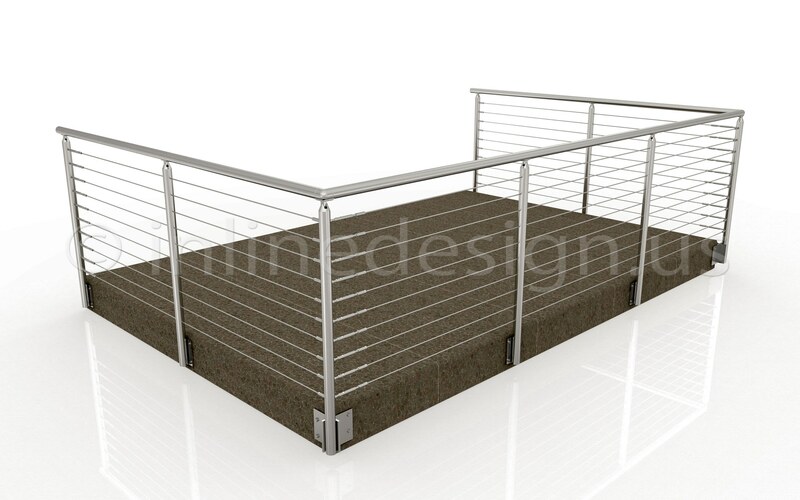 Floor mounting solutions cater to installations on platforms and wide spaces, which is supported by a square base at the bottom of the posts. 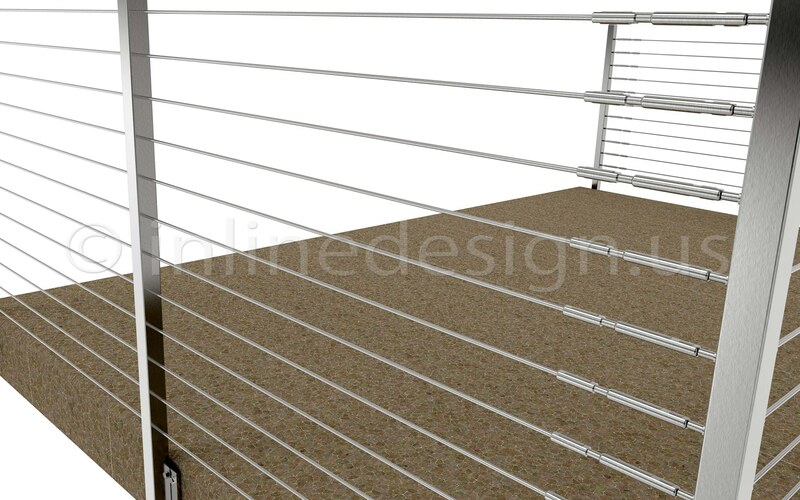 Side mounting setups provide space-saving benefits via vertical mounting plates that support the stainless steel posts and attach to the side wall of floors or platforms.